The measure gives states time to implement the 2008 ozone standard first, while still improving air quality. “Otherwise, states may have to unnecessarily expend time and resources trying to implement two ozone standards simultaneously, and state and local areas may be faced with adverse impacts in terms of stymied economic development and lost job creation.” — American Farm Bureau Federation President Zippy Duvall said in a letter urging House lawmakers to approve the bill. For several years, states have partnered with business and industry to improve the nation’s air quality, resulting in a 33 percent reduction in ozone levels since 1980. Those levels will continue to decline as states implement the 2008 ozone standards. 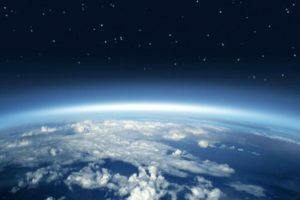 Stringent ozone standards could place serious restrictions on farmers, increasing the cost of critical inputs like electricity, fuel and fertilizer, as well as equipment. Further, as ozone standards come closer to levels that exist naturally, more farmers will be forced to abide by restrictions on equipment use and land management that would make it more expensive to operate. In the letter, Farm Bureau also noted its support for provisions that tie related air permitting requirements to the phased schedule. Also important is a requirement for10-year review cycles, which the organization said were more feasible than the current schedule to review air standards. “This reform will allow for environmental improvements to occur while bringing more certainty to regulators and the regulated community,” Duvall wrote.